These Napkin style clothing protectors instill a degree of dignity for your residents. 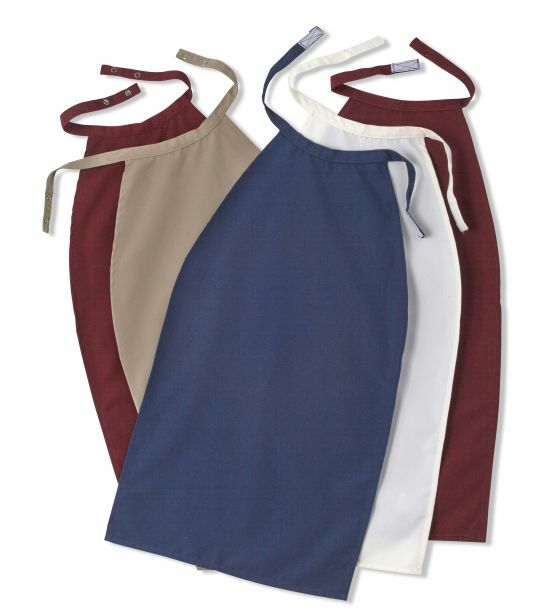 A sturdy “hook & loop” closure strap keeps the 17 x 30 over sized napkin in place. Made from 100% spun polyester for easy laundering. Permanent press with soil release, these clothing protectors can be washed and handled with your table linen.